The tour departs at 6am. This tour takes place throughout the year. Departures are more frequent during the summer season. We are comparing Luxury Paris Full-Day Trip from London Prices from leading ticket suppliers and Try to find you Cheap tickets prices on the market. This excursion will take you from the centre of London to the top sights and attractions of Paris. The tour combines round-trip tickets by Eurostar's train, a panoramic sightseeing tour of Paris by bus and a pleasant cruise on the River Seine. For the complete experience, the tour adds a lunch at the most scenic restaurant in Paris. You’ll have the opportunity to climb the the top level of the Eiffel Tower and see fine collections of art at La Louvre (not included). While you get around, you will examine striking architecture of iconic points of interest. You will see the Notre Dame Cathedral, the Arc de Triomphe, the Louvre Museum, and the bridges of Paris during the cruise. The full-day excursion to Paris is a great day out from London. A convenient way for people to see two iconic European cities in 1 day. Your Experience With Luxury Paris Full-Day Trip from London? On this full-day tour, you will travel to Paris, see its top attractions and enjoy some of the city's top-rated activities. You will travel by speedy Eurostar's train to the French capital and join a guided tour to travel by coach. Relax with a cruise on the River Seine and examine UNESCO-listed landmarks on its riverbanks. As you cruise along the Seine, take a closer look at the bridges suspended above the river. Visit the Tour Eiffel and enjoy a pleasant lunch with Champagne. You will also see the grand architecture of the Louvre Museum, the Orsay Museum, the Triumphal Arch, the Notre Dame Cathedral and some other iconic structures. Join an optional guided tour of the Louvre Museum or opt to explore the streets of the City of Lights. What Luxury Paris Full-Day Trip from London Includes? Return Transport by Eurostar train. Land transport by air-conditioned coach. A Sightseeing tour of the city by coach. 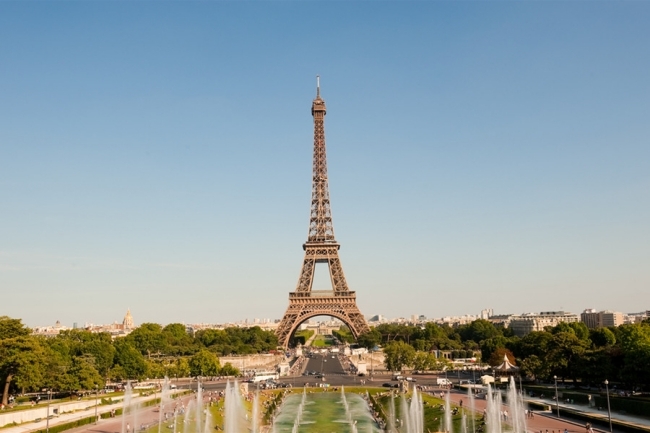 Priority entry to the Tour Eiffel and a 2-course lunch at the restaurant on the 1st floor. Complimentary 1 hour Seine River Cruise. An opportunity to enjoy sightseeing in Paris by bus and by boat. Cruise along the Seine and admire Paris' UNESCO-protected riverbanks. Travelers Reviews about Luxury Paris Full-Day Trip from London? This tour to Paris has very high rates on Get Your Guide (5 out of 5) and Viator (4.5 out of 5). People who participates in this tour comment that they had a great time while traveling to France and visiting Paris. They generally agree that the journey passed quickly and that the guide was very informative and useful for visiting the French Capital. The Paris excursion isn't suitable wheelchair users. To take part in the excursion, you will need to show either a printed or mobile voucher to the authorized person. If booked at least 5 days in advance, you will receive the confirmation immediately. For tours booked later, you will receive the confirmation of your reservation within 48 hours. In occasions the complimentary lunch will be served on a boatof the Tour Eiffel restaurant. Meeting Point: Join the tour at St. Pancras International Train Station, Le Pain Quotidien coffee shop, by Group desk gate 5.